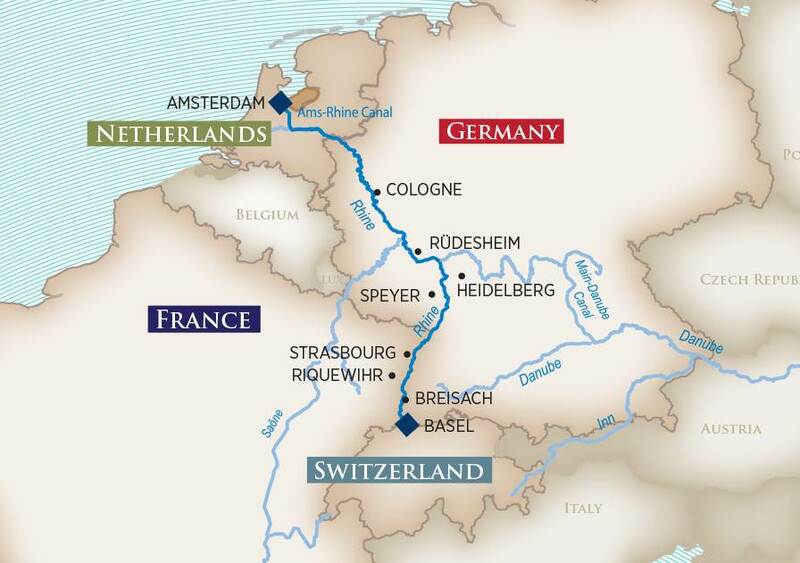 Take an enchanting 7-night Rhine River cruise that takes you through the fabled Black Forest region and the Alsace region. You will also visit Heidelberg and Cologne, famous for its majestic Cathedral and bustling Christmas markets. Conclude your winter adventure in Amsterdam, amidst the city's legendary canals and colorful holiday surroundings. 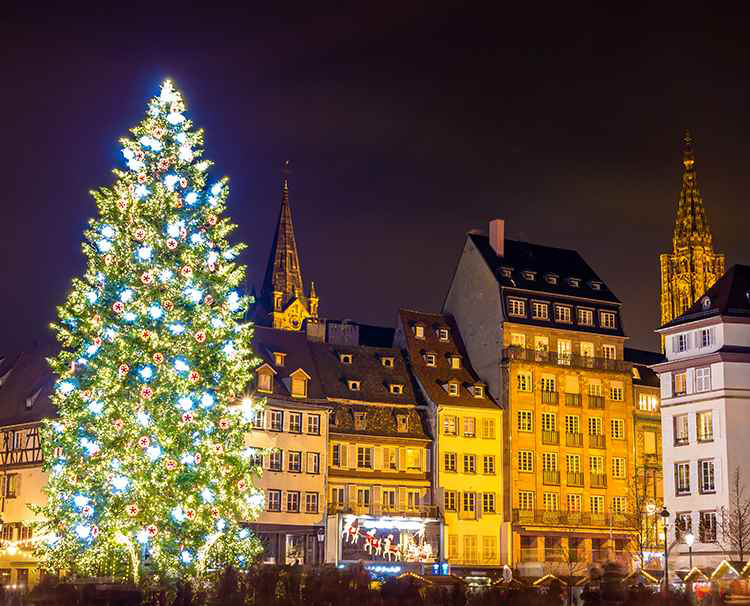 Christmas Markets Notice: Note: Most Christmas Markets open during the last week of November and remain open until approximately Dec. 22. Check with each country's tourist office for more information. Port Charges: $168 per person. Single Supplement for Cruise: 50% of twin price; Suites 100% of twin price. Please see terms below for details. All rates are per person for cruise only, based on double occupancy in an entry level category stateroom unless stated otherwise. Offer is valid on select sailings only and applicable to new bookings only. Unless explicitly stated that single supplement is waived, solo travelers in a double occupancy stateroom must pay an additional single supplement amount before receiving any discounts. Ask about Solo Traveler promotions. Offer is not combinable with any other promotions/discounts, limited to availability, capacity controlled and subject to change or termination without notice. Port charges, land programs and round-trip airfare. Other restrictions apply. Registration as a seller of travel does not constitute approval by the State of California. 1985 Yosemite Avenue, Suite 235, Simi Valley, CA 93063 Copyright 1996-, UET Inc.